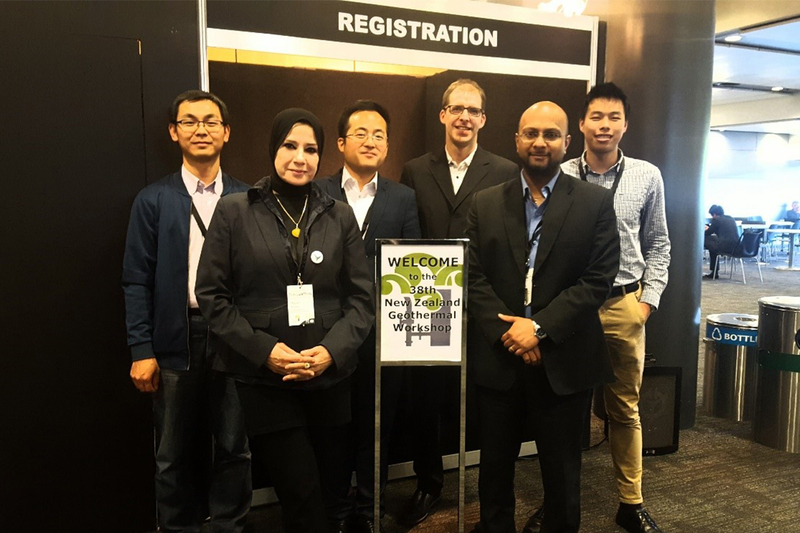 The end of November saw a heavy contingent of our AGGAT team attend the 38th New Zealand Geothermal Workshop at the University of Auckland – as we work to share our research and development findings to create collaborative global opportunities in the clean energy space for our members. Highlighting five AGGAT research focuses, our team presented works covering heat transfer heat exchanger and turbine design, moves to innovate these concepts further and a plan of fabrication in New Zealand to drive the metals industry forward by transitioning them from contractors to manufacturers for greater control of future pipelines. This was also an opportune time to reveal our advances in the development of a prototype AGGAT test rig and promote its prime objective to test different tube surface materials in heat exchangers. This work means we’re now able to confidently inform the geothermal industry on material selection for their technology so they’re able to achieve a longer plant life, reduce their maintenance requirements and ultimately lower costs for power generation. We also introduced our ORC online expert design tool to predict the performance of different configurations of Organic Rankine Cycle – an initiative that allows developers to avoid the need to engage with multiple experts so they’re able to substantially cut early development costs and identify a clear start point to advance their technology from. 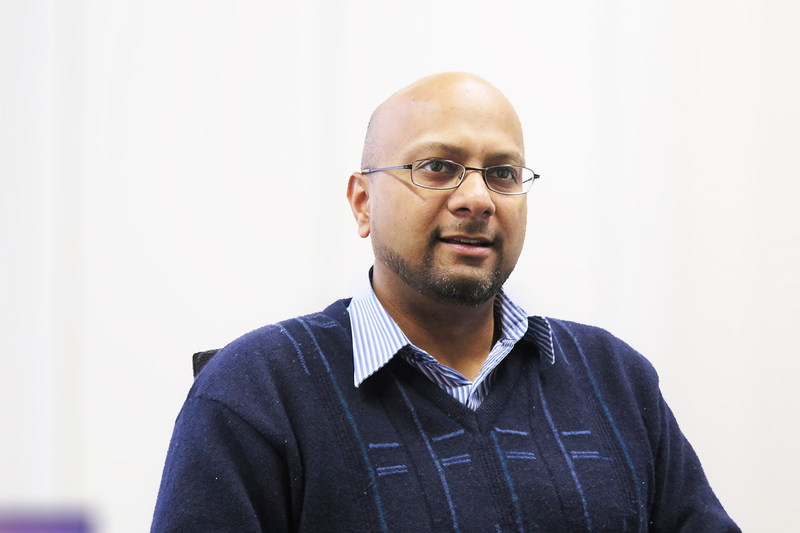 Our Research Engineer Dr Haiam Abbas has been working hard behind the scenes to extensively extend the limited application of non-flammable refrigerant R245fa at high temperature (up to 470°C) in heat transfer and heat exchanger designs. Her research using different computational fluid dynamic models (CFD) as shown in Figure 3, have led to the introduction of a novel porous media concept at locations where the risk of refrigerant overheating / decomposition was of concern – extensively extending the workable zone of the non-flammable refrigerant, while doubling the thermal performance of the evaporator so designs can be significantly reduced in size (by up to half). This work is the result of an ongoing research processes using high performance computing clusters remotely from the University of Auckland to investigate the synergic impact of this concept with more advanced heat exchanger designs. So far, our findings show we can maximize the rate of heat transfer and improve system efficiency in geothermal and industrial waste heat applications for heat recovery and electricity generation – an exciting discovery as we work to generate clean energy from resources largely untapped on a global basis. As one of the team leaders of AGGAT programme, Dr. Lei Chen presented his work on 100kW radial inflow turbine design for the application in Organic Rankine Cycle System to produce power from geothermal energy and industrial waste heat. 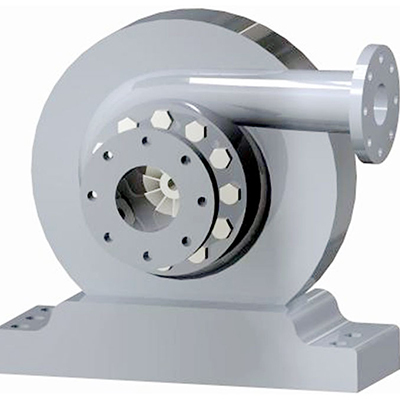 The turbine design has been finished and integrated into a high speed magnetic generator to deliver an efficient and compact power generation system. The turbine drawings have been completed and we are currently working with our partner towards fabrication. 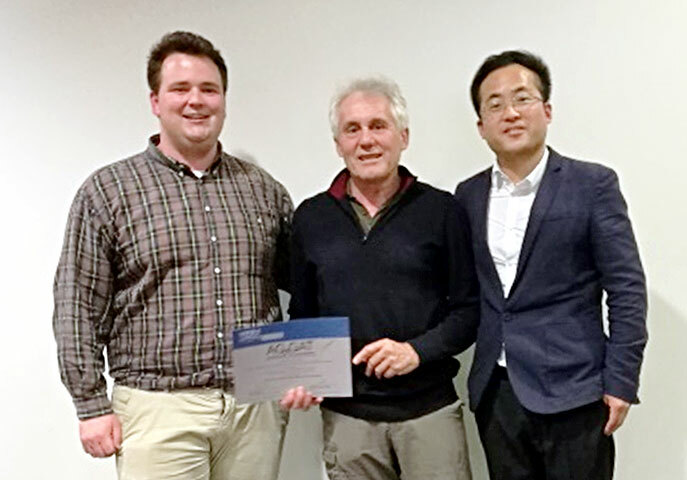 Lei also presented an AGGAT prize for HERA to paper authors Steven Chester and George Hooper (pictured), who also accepted on behalf of co-writers Chris Williamson and Mike Dunstall. This acknowledged their fantastic work on integrating biomass gasification into an existing geothermal power plant to generate additional power. Four configurations were examined and evaluated against the operational constraints, showing significant merit in terms of increasing the geothermal steam utilisation at Wairakei. For information on our heat exchanger design and innovative concepts contact Research Engineer Dr. Haiam Abbas and for more details on our turbine design works Research Engineer Dr Lei Chen.